According to Guo Ping, executive vice president of Huawei, the company's revenue from its mobile phone business is expected to increase 74% year-on-year to USD4 billion and the annual growth rate of its terminal business will top 30% in the next five years, because of the increased demands in emerging markets like China. Guo told local media that Huawei predicts that its shipment of handset terminals will be doubled in 2008, reaching 80 million handsets. The reason for the increase lie in Huawei's good performance in telecom operator customized handsets, the enlarged range of diversified services and the enhancement of its customers' loyalty. The company says affected by the global economic turmoil, the growth of the world's handset market may slow in 2009. 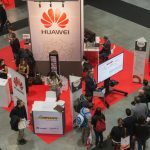 However, Huawei is still optimistic about its development, because the business focus of the company is the emerging markets and the company has extended its cooperation with telecom operators. Since its establishment in 2003, Huawei's terminal business has attained huge revenue and profit growth. 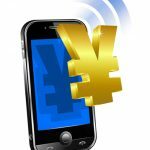 According to the statistics provided by Huawei, its terminal department made total revenue of USD2.2 billion in 2007. By September 2008, its global shipment has reached 150 million handsets and its average annual compound growth rate was 72% over the past three years.